Thomas Minshall, of Northwich, Cheshire, enlisted with Cheshire Yeomanry at Chester, on 27 August 1914. The regiment was based in Norfolk on home defence duties until March 1916, when it sailed for Egypt. At the end of the 1916 Cheshire Yeomanry learnt it was to be formed into an infantry battalion, and amalgamated with Shropshire Yeomanry to form 10th (Shropshire & Cheshire Yeomanry) Bn. King's Shropshire Light Infantry. The new Battalion was placed under orders of 231st Infantry Brigade in the 74th (Yeomanry) Division. 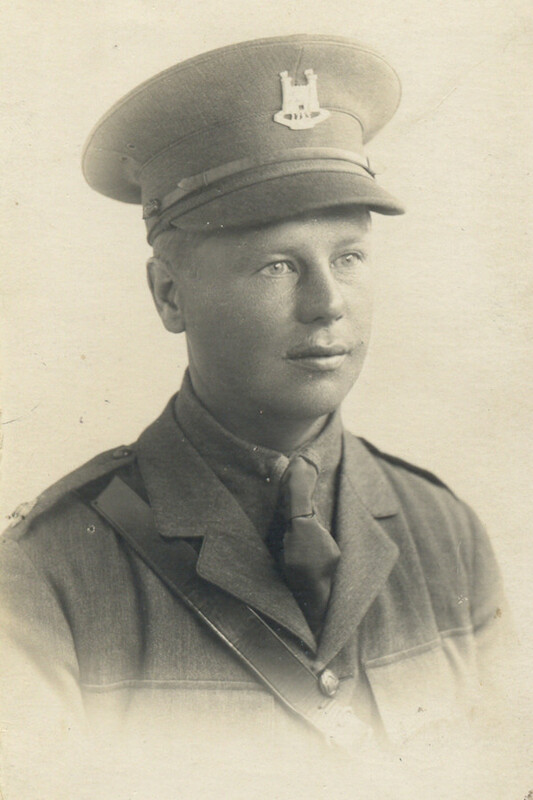 Thomas had gained several promotions, and by June 1917 he was an Acting Sergeant. In October 1917 he was studying at ‘Cadet Class’, the Imperial School of Instruction, Zeitoun, a suburb of Cairo. Successfully completing his training, on 8 December 1917 Thomas Minshall was granted a Commission in the Field as 2nd Lieutenant 1/1st Suffolk Yeomanry (Duke of York’s Own Loyal Suffolk Hussars). In the same reorganisation that affected both the Shropshire and Cheshire Yeomanry, so Suffolk Yeomanry had been converted to infantry and became 15th (Yeomanry) Bn. Suffolk Regiment. They were under orders of 230th Infantry Brigade in the 74th (Yeomanry) Division. No information has been found to date of when Thomas reached the Suffolk Regiment in the field, from his training in Cairo. In December 1917 the Regiment was positioned amongst the hills and villages to the north west of Jerusalem, as part of the general advance on the city. Notice of Thomas’ promotion was published in the London Gazette, 8 February 1918.